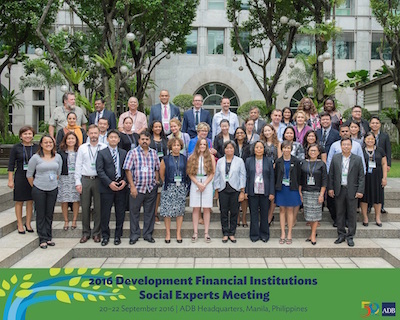 The Asian Development Bank (ADB) hosted for the first time the Development Finance Institutions (DFI) Social Experts Meeting on 20-22 September 2016 at the ADB Headquarters in Manila. 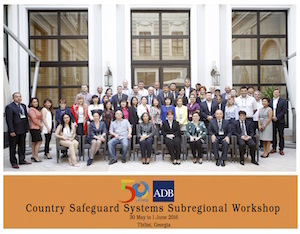 The meeting discussed the latest policies and good practice on labor standards and supply chain management, migrants and refugees, livelihood restoration, and urban peri-urban resettlement. 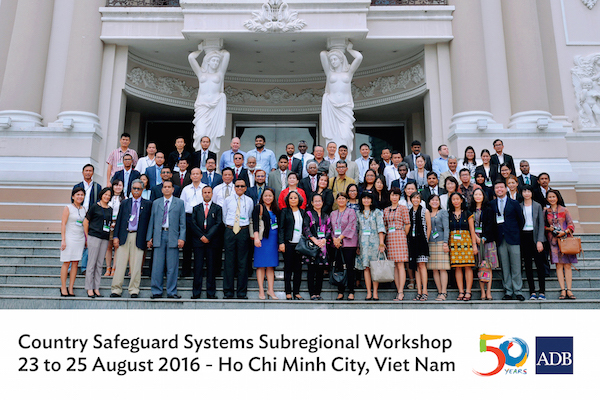 It provided a venue for sharing knowledge and expertise on emerging issues and challenges among social development and safeguards practitioners.